This certificate program is designed for people who are interested in teaching languages. This is an International Accreditation Organization (IAO) certified program. You will be eligible to apply for the IAO Certification for Teaching Professionals. 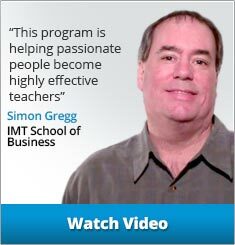 Up to date more than 15,000 teachers worldwide have earned their jobs through IAO. If you also wish to join their league, all you need to do is apply for IAO’s teacher Certification. Being our certified teacher, we will redraft your resume and forward your profile to 100’s of recruiters including IAO’s accredited institutes. This will open doors to multiple employment opportunities for you assuring your employability. Moreover, an Equivalency Diploma and Comprehensive Evaluation Report will be issued by the California University Foreign Credential Evaluator (CUFCE). Furthermore, graduates are eligible to apply for the membership and relevant chartered awards from the Chartered Institute of Professional Financial Managers, USA and Chartered Institute of Management and Leadership, USA. Plus, Graduates are eligible apply membership and/or Chartered Member (C.Mgr) status of Chartered Institute of Management, Canada. If you wish to enhance your employment opportunities globally and teach at some of the world’s renowned academic institutes, then IAO’s Teacher Certification is for you. Up to date more than 15,000 teachers worldwide have earned their jobs through IAO. If you also wish to join their league, all you need to do is apply for IAO’s teacher Certification.